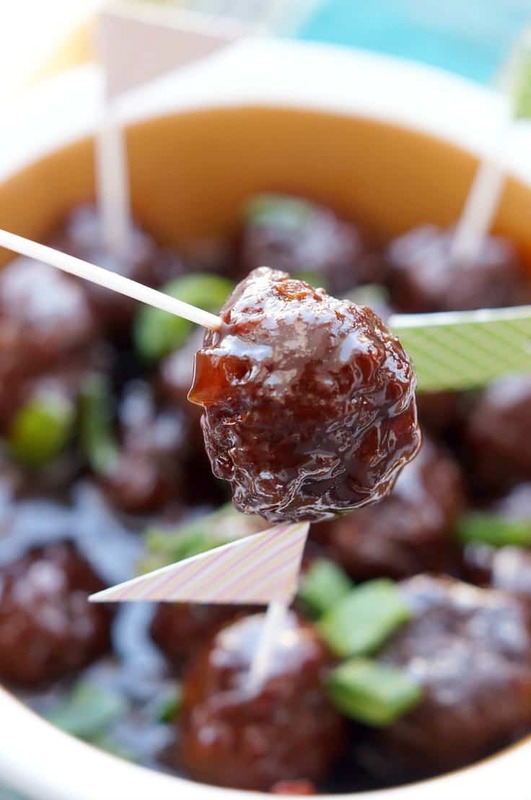 These Slow Cooker sweet and spicy Sriracha Meatballs are the perfect appetizer for any party. 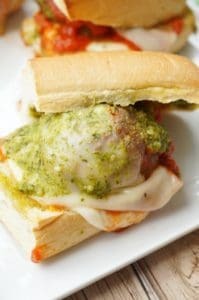 Your guests will love the bold sweet and spicy flavors in this easy slow cooker meatball recipe. 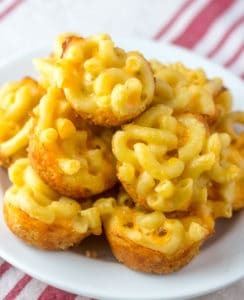 Better yet, they are so easy! Hi everyone! Excited to be back this month sharing a delicious appetizer recipe that you can use all holiday and football season long! 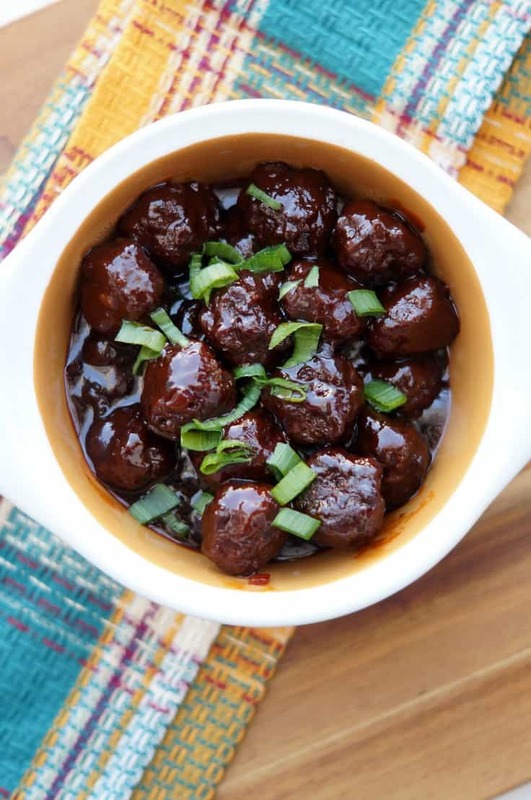 I love sharing easy appetizer recipes on my blog Old House to New Home and I know that these spicy little meatballs will become a new favorite! Want to know a secret? Here is my formula for easy entertaining. I always serve one hot dip and one cold, one easy platter like veggies or cheese and crackers, one filling meat appetizer, and one semi-homemade dessert. 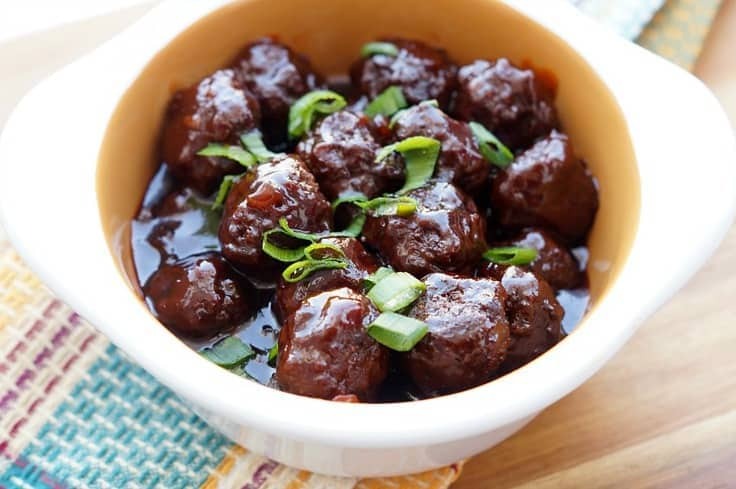 These Slow Cooker Sweet and Spicy Sriracha Meatballs definitely fit the bill for the meat category! Even better, since they are a crock pot recipe, you can make them ahead of time and have them all ready simmering away when your guests arrive! It is so important to have go to easy slow cooker recipes that you can use again and again. I love creating versatile recipes that you can cater to your own tastes. You can certainly lessen the amount of sriracha if you don’t like spicy food! You can also substitute the beef for ground chicken or turkey! These easy meatballs come together quickly and your slow cooker does most of the work! 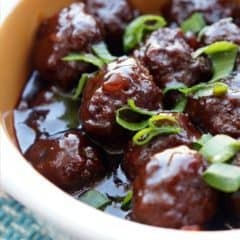 Here’s how to make the sweet meatballs with a nice spicy bite! 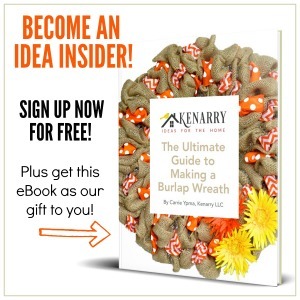 Scroll on down for the printable recipe card. Mix together meat, milk, Worcestershire sauce, salt, pepper, and onion powder. Form into 1 inch balls. Place on a cookie sheet. Bake in a 375 degree oven for 12 minutes. Add the onion, grape jelly, and sriracha sauce to your slow cooker. Once meatballs are done in the oven. Add to the slow cooker and cover. One hour before serving, whisk in the corn starch. Cook on low for four hours. Whether you like your meatballs super spicy or really mild, it is easy to adjust the level of spiciness. Taste the sauce before adding it on top of the meatballs. For extra spice, use less grape jelly. For a mild flavor, use less sriracha. What can you use instead of Sriracha? For this recipe, you can use a different hot pepper sauce. Tabasco works great too. 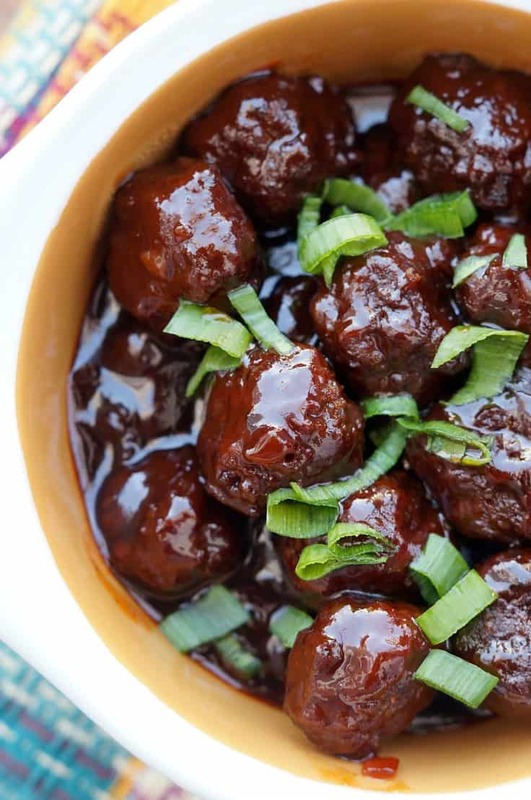 These delicious Slow Cooker Sweet and Spicy Sriracha Meatballs are perfect for holiday entertaining or tailgate parties! You will love the bold flavors in this appetizer recipe! Mix all meatball ingredients together in a mixing bowl until well combined. Roll into small, 1 inch meatballs. Place on a cookie sheet and bake for 12 minutes. 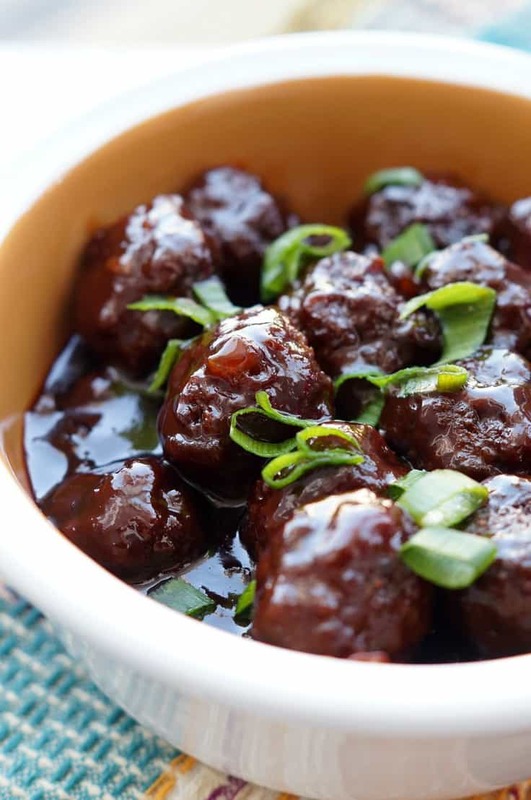 While meatballs cook, add onion, grape jelly, and sriracha sauce to the slow cooker. When meatballs are done, add to the slow cooker. Put the lid on and cook for 4 hours on low. One hour before serving, whisk in the corn starch and let cook one more hour. 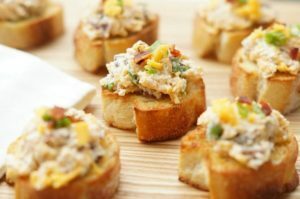 Try these easy appetizer recipes, too!